Hi everyone! So..I did a thing yesterday. As I was staring at my damaged, awkwardly growing nails, I decided to clip them all off. I need a fresh start, so to speak. One of my nails got caught on something a couple of weeks ago and literally lifted my nail upwards and...I don't know it's hard to explain. But I hope you all don't mind my short nails for a while, I may even keep them short permanently, we shall see! 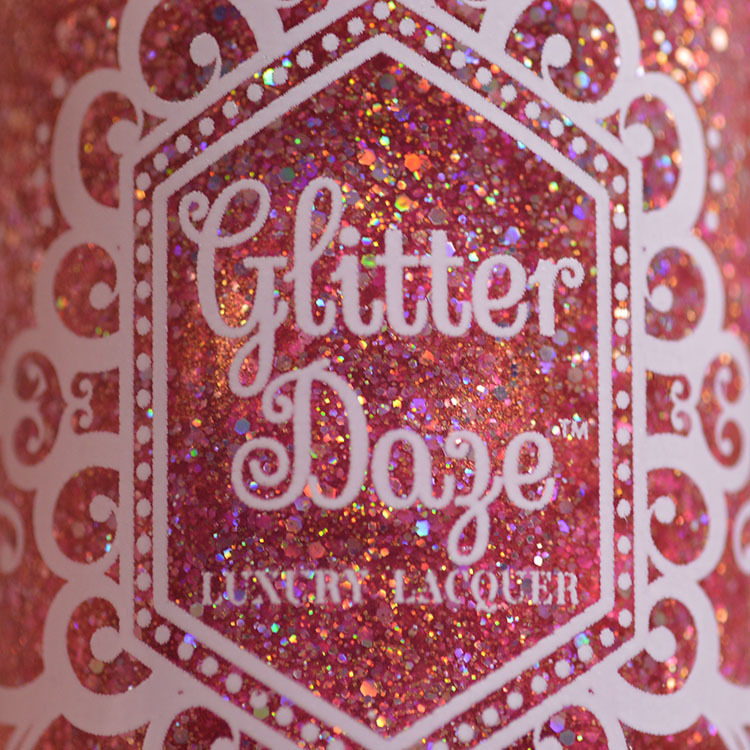 Today is the last day to get August's Daze of the Month, so check it out! Hi guys! 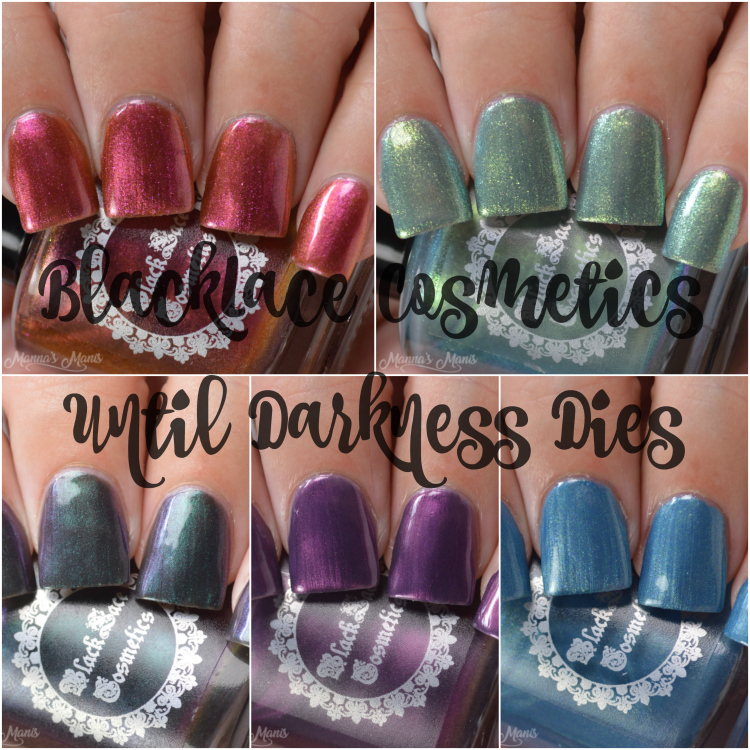 BlackLace is releasing a collection inspired by a book called Until Darkness Dies by Laura Thalassa. Laura is an indie author that has multiple novels and future BlackLace collection will be inspired by her novels as well. 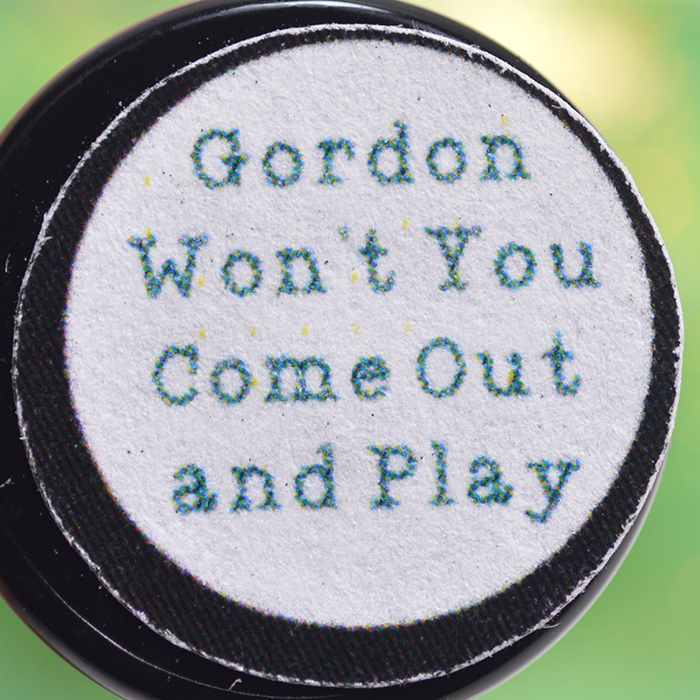 Each polish in this collection is inspired by a small quote from the book or names from the fan group. This year Leesha's Lacquer has a series called OOAK of the Month. They're special 16oz batches of polish, sold in full size only, and one time only. Once they're gone, they're gone for good. 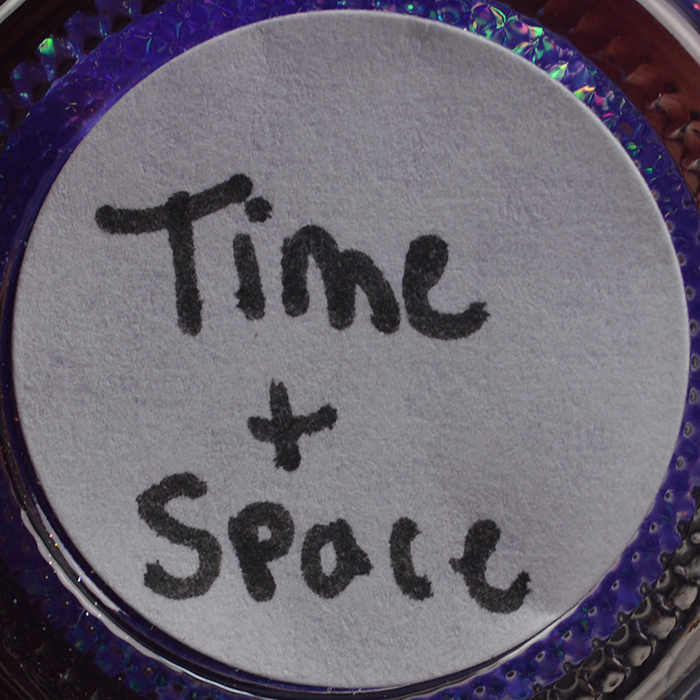 August's OOAK is a gorgeous one called Time & Space! August 1st marked Leesha's Lacquer's 5 year anniversary! In celebration of such a joyous occasion, Leesha's is re-releasing a throwback polish EVERY Friday. There's 5 Friday's in August so it worked out perfectly. 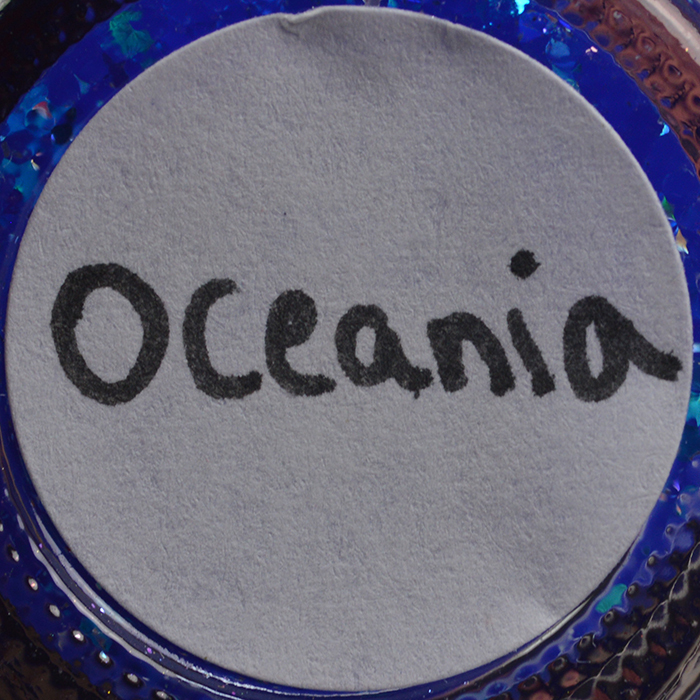 First up is Oceania, from their first ever collection. Hey guys! This is the final PPU I got for the month of August and it's a good one! 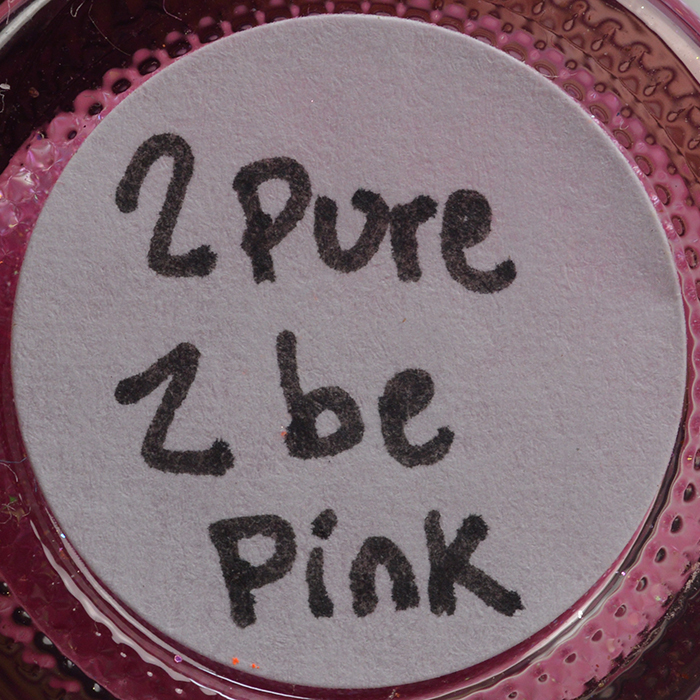 2 Pure 2 Be Pink is inspired by GREASE! Who hasn't seen that?! Easily one of the most popular musicals ever.